What is remarketing you ask? Well, it is simply the nurturing of your existing customers or prospects and is just as important as generating new leads. In fact, it is easier to market again to people who have already expressed their interest in your products or services than to attract new leads, and this is the core idea of remarketing: reaching again to audiences who have visited your website or engaged with your brand before. In today’s online marketing context, remarketing refers not only to the various follow-up strategies brands have always been using, but also to automated online systems that aim to increase the engagement of audiences and to convert prospects into customers. Email remarketing. The most common form of email remarketing is emailing a prospect who has abandoned their shopping cart. Online stores use this technique to contact customers who have changed their mind and decided not to buy the product they were interested in. Email marketing has proved to be a lot more effective than having a store clerk chasing the clients and asking them why they didn’t complete the purchase. Facebook remarketing. This tactic allows you to advertise on Facebook to people who have visited your website and expressed their interest in a product or service. The custom ad is only shown to people who have engaged with your brand before. Twitter remarketing. Twitter has also begun hosting remarketing ads on their website in 2013. Google AdWords remarketing. This method is similar to Facebook remarketing, as it displays your ads to segmented audiences while they browse other sites that are part of the Google Display Network or they perform a search which is related to your products and services. Google AdWords remarketing consists of three steps: adding a remarketing tag to your web pages (you get it from AdWords), building remarketing lists which capture visitor cookie IDs, and crafting the actual remarketing campaign and transmitting customised messages to people in your lists. Increasing profits. By displaying customised ads to prospects who are genuinely interested in your product or contacting them again after abandoning a purchase, you are more likely to convert them into profitable customers. For instance, the Norwegian cruise line Hurtigruten contacted 25 customers who had booked, but not paid for their trip, and 16 of them chose to complete the order. This resulted in $57,000 worth sales. Lower costs per click. In the case of Facebook remarketing, you avoid paying for a large number of ads which are displayed to unqualified prospects, and you only expose your brand to people who are more likely to convert. Facebook remarketing is cheaper than Google AdWords remarketing, as people seeing your ad on Facebook are not looking for a specific product at that time and do not click on the ad unless it really draws their attention. Making your brand easy to reach and more recognisable. Let’s take a first time buyer situation. Before making a decision, prospects check both you and competitors, but at the end of their research, they may forget the way back to your website. When you use remarketing, they see your ad on another website again and they are more likely to buy from you. Expanding your reach to lookalike audiences. The latest remarketing options allow you to advertise to potential customers who have showed their interest in products or services which are similar to yours. Increasing brand loyalty. People or objects that we see often are perceived as more attractive, and the same thing happens with brands. Furthermore, when your customers see your ads on social networks, they are more likely to engage and start a conversation with your brand, which will also attract new leads. Yes, remarketing does work, and there are thousands of companies that have managed to increase their revenues by retargeting their prospects. 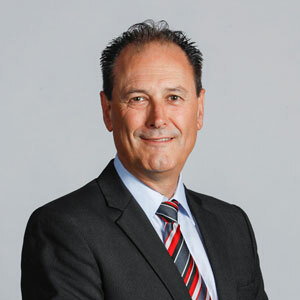 The actual question is in fact how well it works, and the answer depends on how you do it and on the nature of your business. Remarketing can become annoying too, if you don’t choose the right users for your remarketing lists or you use this technique just to raise brand awareness. The secret of effective remarketing seems to be reaching only to those people who are genuinely interested in your products, instead of adding to your databases any user who has accidentally reached one of your web pages with no intention of making a purchase or researching your products. Refining your remarketing lists and targeting the right customers will make your remarketing campaign a success instead of being perceived as irritating spam. 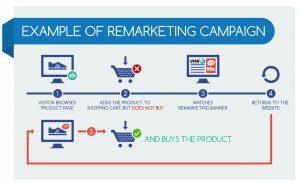 So hopefully that clear up what is remarketing and if you would like us to implement this into your marketing strategy simply contact Visual Marketing.